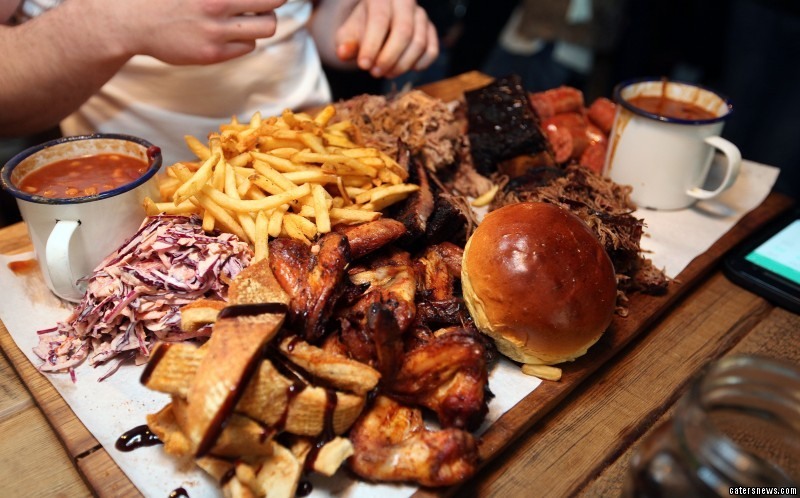 Is this 7lb meat feast food challenge Britain's most difficult? Holy Cow! This is the monstrous meal that could bring a tear to the eye of even the biggest of meat lovers – a 7,000 calorie meat feast. The Breaking BadAss Challenge contains a gut-busting seven pound of meat including beef brisket, beef ribs, smoked hog, full rack of pork ribs, sausage, chicken wings and three bean chilli all served up with a brioche bun, coleslaw and a large helping of fries. 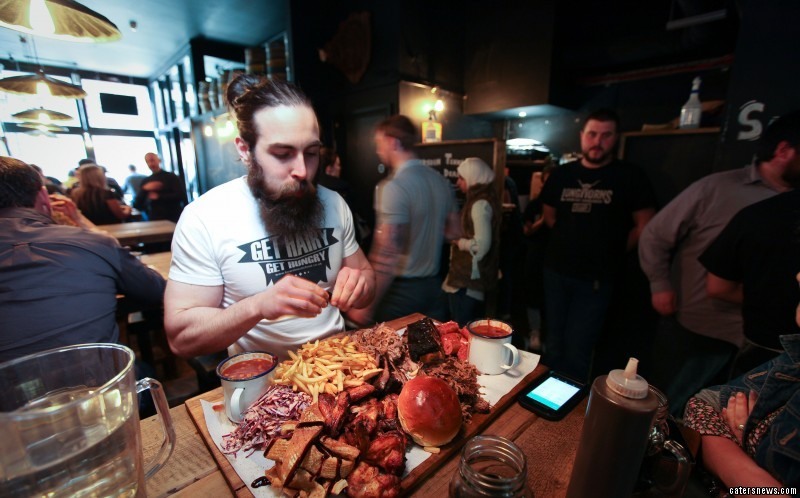 Hundreds of brave diners have taken on the Man Vs Food style challenge at the Longhorns Barbeque Smokehouse in Newcastle, daring to clear their plates in under an hour, but so far no-one has managed to complete it. The £35 meal was even too much to stomach for top professional eater Randy Santel, who fell short by a single spare-rib. 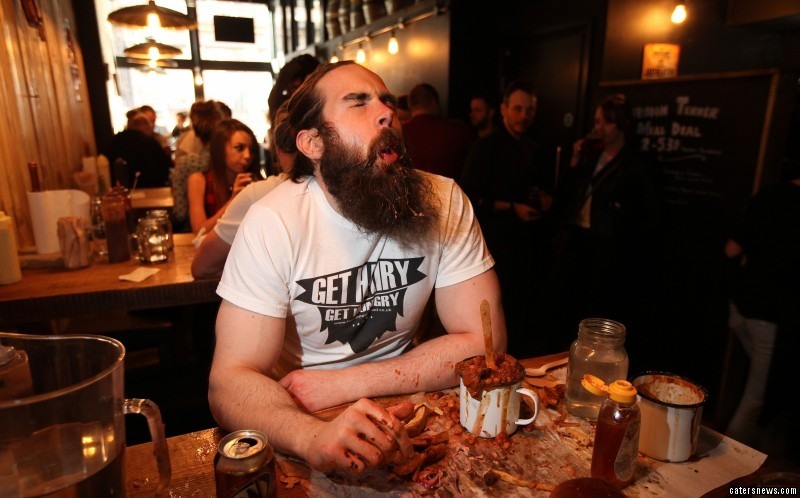 And now it has defeated yet another contender, as 29-year-old competitive eater Adam Moran, aka Man Meats Beard, failed to finish the BBQ’d beast. Adam, from Leeds, Yorkshire, took on the challenge on Sunday in a bid to get one-up on his rival Randy Santel, who lost the contest last year. But despite being hotly tipped to finish the meal, even Adam was no match for the undefeated challenge, as he failed to clear his plate within the allotted time. He may have conquered more than 20 eating challenges across the country, but after going down to the wire, the challenge proved to be just a pot of beans too far for Adam. Adam, who is training to be a personal trainer, said: “I gave the challenge my best shot, but the amount of food on the platter just proved too much for me. “It’s the worst way to lose a challenge, I still had room for desert at the end, but ultimately it was the last pot of beans that defeated me. “If I’d had an extra, five, maybe ten minutes, I might have done it, but tactics are important. “Given I left the beans till last, leaving myself seven minutes to eat two pots, I think that’s where I went wrong. The feast is considered so calorific, challengers are asked to agree to a verbal disclaimer, absolving the restaurant of any responsibility for personal injury. However if completed, the winner of the Man Vs Food style challenge has the price of the meal waivered, along with a free t-shirt and their picture posted on the Newcastle restaurant’s empty wall of fame. Lee, operations manager at Longhorn’s Barbecue Smokehouse, said: “Adam started off the challenge really well, but in the last half hour he began to struggle. “At one point, me and the head chef were looking at each other in panic because we thought he was going to do it. 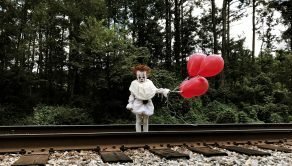 “But it was the beans that beat him in the end, he just didn’t have the stomach for them. The time probably had a bearing but the makeup of the meal is very difficult to tackle. 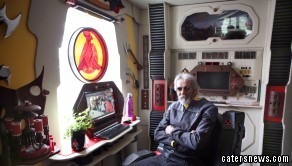 “That said, Adam was definitely one of our fiercest challengers, I’d say he was on a par with Randy Santel. But even Adam was no match for the undefeated challenge, as he failed to clear his plate within the allotted time. After beating Omar’s 3ft Unfinishable Naan Challenge at Omar’s Restaurant, in Bradford, West Yorkshire, ravenous Adam was tipped to be the next Randy Santel. The challenge went undefeated for ten years after more than 700 contenders failed to scoff the colossal bread in less than 30 minutes, while Adam, who was rewarded with a holiday to Barcelona, breezed it in 22. He said: “My career highlight so far as a competitive eater was beating Omar’s 3ft naan challenge, it went undefeated for 10 years. 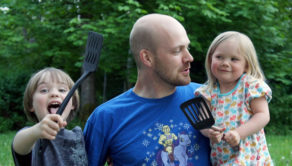 “Each challenge is difficult in a different way though, some are hard because of the time limit, some because there are different foods involved; so your approach has to be more tactical. “My Achilles heel has to be flavour-fatigue though, which is where you get to the point that you’ve eaten so much of one thing, the flavour of it quite literally causes you to gag. 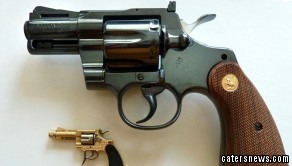 “This is why you’ll see me order chocolate ice cream to accompany my meal, if the restaurant offers it. Adam, who weighs 160lbs, says he’s always had an insatiable appetite for food since an early age, but maintains a healthy weight by hitting the gym two hours a day, six days a week. 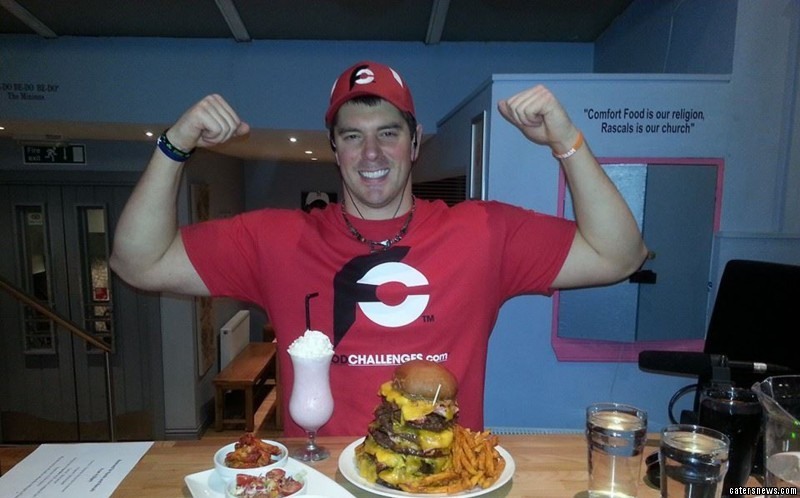 His first successful challenge was the Sliderggedon Challenge at Huckleberry’s Diner, which saw him devour 12 burgers, 1lb of fries and two pints of milkshake, which he completed in 18 minutes, less than half of the allotted time. 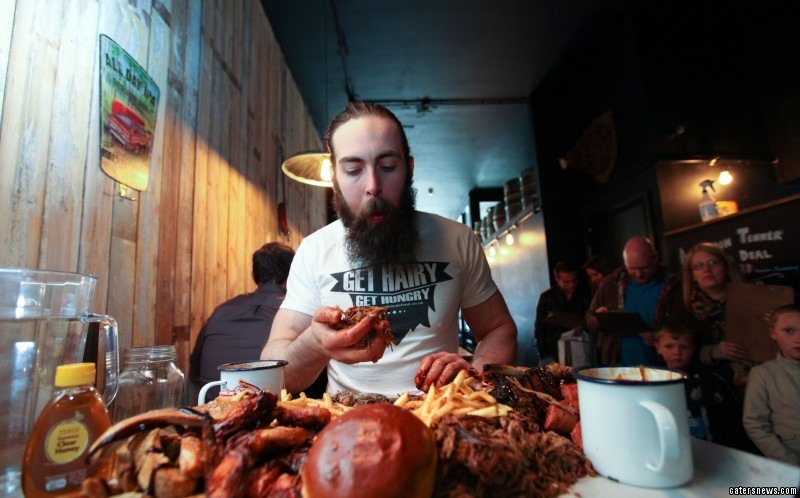 But despite falling foul of Longhorn’s seemingly impossible meat feast contest, Adam, a self-confessed fitness and food addict, is determined to continue competing in food challenges across the UK. His next gastronomic mission is to take on Randy Santel one-on-one, but in the meantime, he’s got a nacho eating contest in Skegness and a hot dog test in Manchester to prepare for in the forthcoming months. He’s even planning a trip to America later in the year, where he hopes to compete at Major League Eating, an organisation that sanctions professional competitive eating events and television specials. Adam said: “I think I attribute my success to the fact that I practice intermittent fasting and keep fit, but other than that, I suppose I’m just naturally predisposed to eat a lot in a small time frame. “The Breaking Badass challenge was a lot of fun, I’ll definitely go back and try again at some point. “But looking ahead I’m hoping to travel all over the UK to attempt food challenges, and even the US, where I hope to compete in Major League Eating.